Honigsfeld, A., Giouroukakis, V., Cohan, A. & Walsh, M. (2009). Ten Ways to Incorporate Technology into a TESOL Teacher Preparation Program. 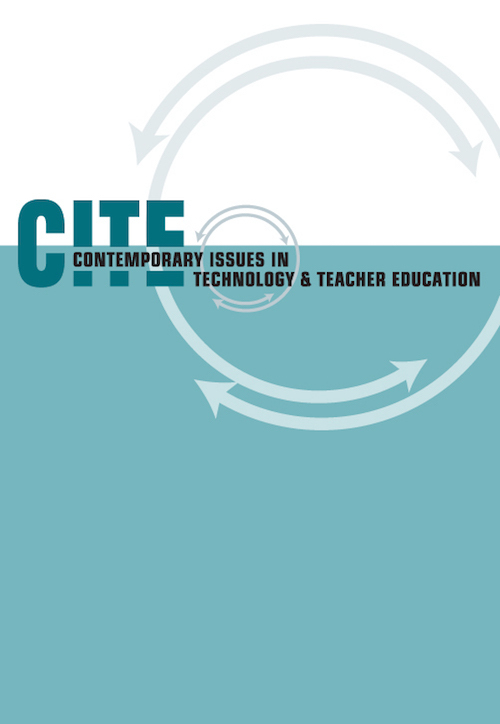 Contemporary Issues in Technology and Teacher Education, 9 (2), 208-221. Waynesville, NC USA: Society for Information Technology & Teacher Education. Retrieved April 19, 2019 from https://www.learntechlib.org/primary/p/27046/. Borich, G.D. (2007). Effective teaching methods: Research based practice (6th ed.). Upper Saddle River, NJ: Pearson. Council of Chief State School Officers. (1992). Recommendations for improving assessment and monitoring of students with Limited English Proficiency. Author: Washington D.C.
Ebsworth, M.E., Feknous, B., Loyet, D., & Zimmerman, S. (2004, April). Tape it yourself: Videotapes for teacher education. ELT Journal, 58(2), 145-154. Echevarria, J., Vogt, M., & Short, D.J. (2007). Making content comprehensible for English Learners: The SIOP model (3rd ed.). Boston: Allyn and Bacon. Egbert, J., Paulus, T.M., & Nakamichi, Y. (2002). The impact of CALL instruction on classroom computer use: A foundation for rethinking technology in teacher education. Language Learning and Technology, 6(3), 108-126. Grace, M. (1999). When students create curriculum. Educational Leadership, 57(3), 5052. Honigsfeld, A., & Schiering, M. (2004). Diverse approaches to the diversity of learning styles in teacher education. Educational Psychology, 24, 487-507. Kohn, E.R., & Hibbitts, B.J. (2004). Beyond the electronic portfolio: A lifetime personal web space. Educause Quarterly, 27(4), 7-10. Lacina, J. (2005). Promoting language acquisitions: Technology and English language learners. Childhood Education, 81, 113-115. Meskill, C., Mossop, J., DiAngelo, S., & Pasquale, R.K. (2002). Expert and novice teachers talking technology: Precepts, concepts, and misconcepts. Language Learning and Technology, 6(3), 46-57. Ovando, C.J., Collier, V.P., & Combs, M.C. (2003). Bilingual and ESL classrooms: Teaching in multicultural contexts (3rd ed.). New York: McGraw-Hill. Parker, F., & Riley, K. (2005). Linguistics for non-linguists (4th ed.). Boston: Allyn and Bacon. Pence, K.L., & Justice, L.M. (2008). Language development: From theory to practice. Upper Saddle River, NJ: Pearson. Richard, C. (2005). The design of effective ICT-supported learning activities: Exemplary models, changing requirements, and new possibilities. Language Learning and Technology, 9(1), 60-79. Rodriguez, D., & Pelaez, G. (2000, November) Reaching TESOL teachers through technology. Paper presented at the annual meeting of Teachers of English to Speakers of Other Languages, Puerto Rico. Tallent-Runnels, M.K., Thomas, J.A., Lan, W.Y., Cooper, S., Ahern, T.C., Shaw, S.M., & Liu, X. (2006). Teaching courses online: A review of the research. Review of Educational Research, 76(1), 93-135. Woo, Y., Herrington, J., Agostinho, S., & Reeves, T.C. (2007). Implementing authentic tasks in Web-based learning environments. Educause Quarterly, 30(3), 36-43.